Happy May! Summer is quickly approaching and we can’t wait. We have some new ideas and prizes in store for you this month and hope that you enjoy playing our weekly giveaways! Each day this week, we’ll be posting trivia questions for your chance to win a copy of Jim Dratfield’s dog photography book, Dogphoria! Be the first to correctly answer our trivia question of the day (posted any time between 9am and 5pm PST) and you’ll win your very own copy! Week 2: Show us your pet’s bling! Calling all Trupanion pets and photographers: We want to see your Trupanion tag! We are looking for high quality, high resolution photos of dogs and cats wearing their Trupanion tag. There will be three categories, each with one winner, and you may enter all three if you wish! Feel free to submit multiple entries. Disclaimer: By submitting your photo to us, you hereby give permission to Trupanion to use all or a portion of your entry in any company materials, including but not limited to company website, print materials, and blog. Each winner will receive a $50 gift card, a copy of Jim Dratfield’s Dogphoria, and will see their photo in our official company materials! Winners will be chosen and contacted by May 31, 2010. Week 3: Quiz – which pet name is most popular? Take our quiz (to be posted) and try to guess which pet names are most popular, according to our pet insurance database. Whoever guesses correctly will win a $25 gift card! If there is a tie, then all entrants who guessed correctly will be put into a random drawing. Winner will be announced on Friday, May 20, 2011. 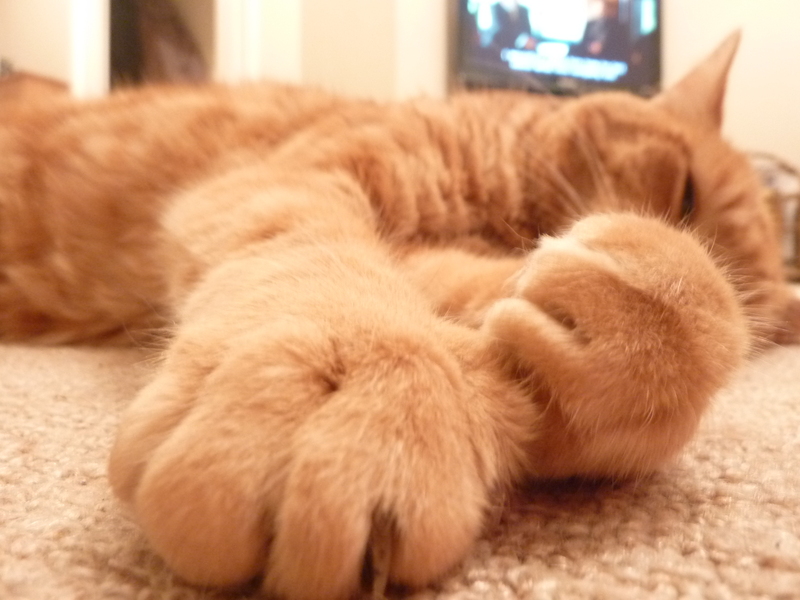 I just love paws, don’t you? To enter this week’s giveaway, share a picture of your pet’s paws! All entries will be put into a random drawing and one winner will receive a $25 gift card! (Only one entry per person will be counted). Winner will be announced on Friday, May 27, 2011 and honorable mentions will be featured in our blog. On Monday, May 30, 2011, we’ll post a photo of a bowl of kibble and we challenge you to guess how many pieces of kibble are in the bowl! Whoever guesses closest to the actual number will win a $25 gift card! (If there is a tie, all winning guesses will be put into a random shuffle to determine the prize winner) Winner announced on Friday, June 3, 2011. Good luck! Oh, an excellent piece of text! I have no clue how you were able to write this report..it’d take me days. Well worth it though, I’d suspect. Have you considered selling ads on your website?